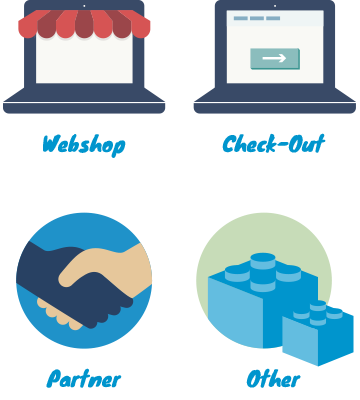 As a DIBS merchant, you must show the DIBS logo in your webshop, together with the payment methods you offer to your customer. By showing the well known brands of payment options, you will make your customer feel secure, which is important in order to increase conversion. Using the logos in the checkout, provides clear guidance on where to click in order to pay to your customers, further improving the shopping experience. Please note You should use the provided URLs, and link to the content hosted by DIBS, rather than downloading the logos. If DIBS makes updates, your webshop is automatically updated as well. By using the Brand Assets Manager, you can easily publish the logos on your website in four simple steps. If you use DIBS Invoice as payment method, please read more about "Terms and conditions" and how to use the code further down on this page. 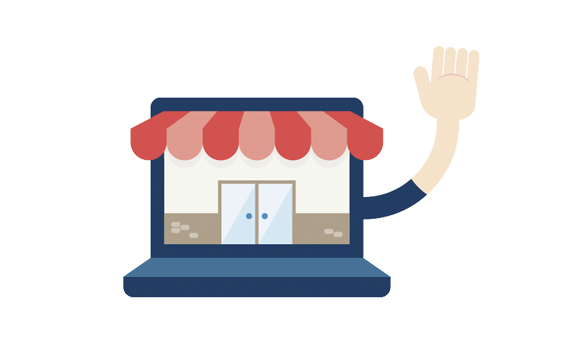 The logos that we have labeled as "Webshop logos" must be visible on the front page of your webshop. These logos may also be used on your product pages to make the customer aware of what payment methods that are available at all times. In order for you to show your specific payment options, we have created a number of logo combinations to choose from. 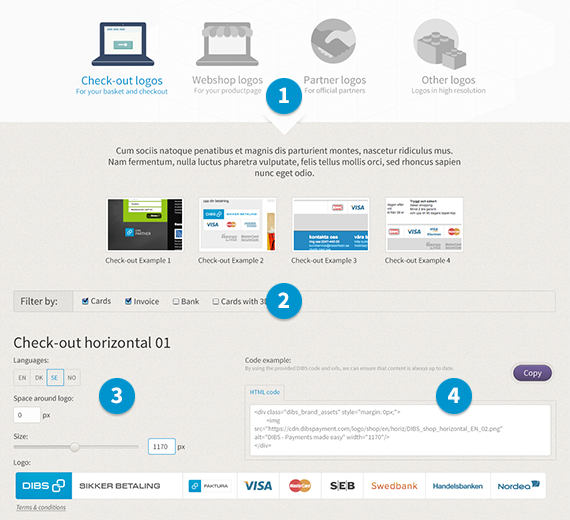 Logos shown in the category "checkout-logos" must be visible in the webshop checkout. The checkout is the page where the customer chooses the preferred payment method prior to actually completing the purchase. This logo is only for our official partners to use. Our official partners should have a partner agreement with DIBS and be qualified to make a DIBS integration. Our official partners should be presented on our partner site. In this category all our payment types can be found as well as standalone DIBS logos. The logos you cannot find in the other categories will be present here. When using DIBS Invoice, you must display our "Terms and conditions" in proximity to the DIBS Invoice logo. 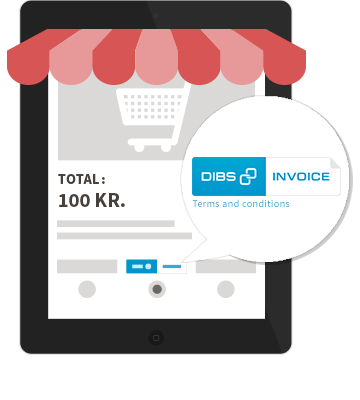 "Terms and conditions" in Swedish and Norwegian will be included on all logo combinations that includes the DIBS Invoice logo. In the "Terms and conditions", there is a general writing describing how the invoice fee will be added to the total amount. It is important to remember to include the correct invoice fee in your own terms and conditions as well as on the checkout page.